Neanderslob VS Technology – As I stumble through the world of linux, I've decided to log new tricks I learn because I often forget. I decided to share the log because…. eh, why not. To add a workaround in the model to scrub out unacceptable characters. Each of these strikes has always struck me as a bit cumbersome and intelligent. Surely this operation is common enough that a plugin of sorts must exist to handle this. …right?……. Well I’m glad to tell you that after much searching, I’ve found a gem that does the trick. It’s called autonumeric-rails and it can be found on github or on rubygems.org. The Gem uses the autoNumeric jquery plugin to format a numerical input with commas, dollar signs or whatever else you might want. On top of the jquery plugin it makes the input agreeable with rails by creating a pair of inputs for each field: one visible, one invisible. The visible one is formatted using the standard jquery plugin, but the invisible one only contains the numerical value of the formatted visible field. Therefore, upon submitting a form, only the invisible, unformatted field is submitted. 3. 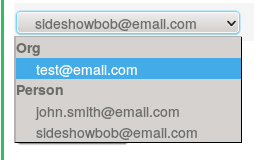 Add the necessary data attribute to your input field. This is where the autoNumeric jquery plugin site comes in handy, which has an interactive interface for building the appropriate data attribute based on your needs. Here are a couple examples. Now you’re actually done. Happy coding! I just upgraded to Kubuntu 16.04 beta and ran into a frustrating situation. My audio controls weren’t working; I tried my volume buttons, mute button and the little icon at the bottom (which happened to be highlighted in red). With these four steps, you should regain control over your life again (or at least your audio). You may find that the above temporarily solves the problem but upon the next bootup, it’s the same issue all over again. (That was the case with me.) Apparently there was another file somewhere in ~/.config/ left over from 14.04 that was screwing everything up. 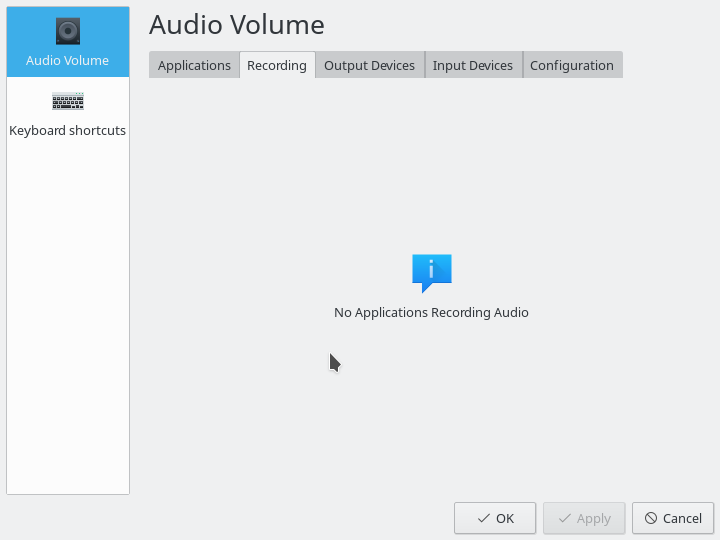 (Seemed it clashed with Plasma’s autologin and pulse audio got pinched in the middle.) Anyway, I just removed ~/.config/ entirely and started fresh. If that’s not an option for you, remove each file one by one and see which one’s the culprit. I just didn’t have the patience for that. Global IDs have previously been a feature of rails with the help of a gem but as of Rails 4.2, it’s officially baked into the platform. I just recently used the new addition to create polymorphic associations within an app and I have to say, it’s fantastic. I did, however, find very little help out there for first-time users of this feature so here’s a few notes on how to do it. So global IDs allow all of this information to be expressed in a single string very quickly. With a couple methods in the model we can use this to create a polymorphic association. Cool, so how do I make this happen? Let’s pretend that we want to set up an association to indicate whether a Stockholder is a Person or a Company. In the above case, :entity is just catch-all field that represents people and companies. Of course, you can call yours whatever you’d like. I use simple_form but the principle is the same for other methods; adjust your syntax accordingly. Something like this. So obviously, the exciting part here is the grouped_collection_select which will render a nice select menu with both companies AND people in it. and group them according to their model_name. The above will give you a grouped selector similar to the one shown below (note I used Org instead of Company, but you get the idea). But you might rightly ask: “Why did you use email addresses and not names?” The tricky thing about these sorts of associations is that people have both a first name and a last name where companies just have a name. In order to get names to render in such a situation, you will need to use a lambda, which I’ll go over at the end of the post. :entity_id needs to be an integer, not a string as is a global id. Fortunately we don’t need to do this manually, rails polymorphic associations will store the model name and id automatically if it knows which object to reference. Therefore, we specify getter/setter methods to specify the object, using global ids. Then just be sure to add :global_entity to your strong params and that’s it! As an explanation of lambdas is a bit beyond the scope of this tutorial, I’ll just leave you with the example above. There is plenty of documentation available out there on the matter so if the lambda’s confusing, just google it up. Anyway, that’s it; you’re done! This problem had been a nuisance for me for a while, In the past, whenever I exited out of a window with lots of tabs, I’d get a nice warning message asking to confirm that I wanted to exit out of all pages. This was fantastic because, on a qwerty keyboard, Q and W are right next to eachother. So, one slip of the finger turned a command to close a single tab into a command to close the whole darn window. But it seems that new versions of Firefox have disabled this warning by default. Today, with the help of Mardeg from the #firefox channel on irc.mozilla.org, I re-enabled it! Navigate to about:config?filter=browser.showQuitWarning in Firefox. Then you will be confronted with some warning about voiding your warranty (see below) You really needn’t worry about this for the setting we’re changing. The warning applies to all navigations to about:config as some settings in there can indeed be precarious to change. This one is not. Next you will be faced with the setting itself. Simply double click on it or right click to toggle it as true. Finally close out of the tab and you’re done! The next time you exit out of firefox with multiple tabs, you will receive a warning. A few notes on reading a branch. Branch_2 comes off of Branch_1. Finally, if you want to do this for a separate admin model, simply replace User in the instructions above with Admin (provided of course that’s what your separate admin model is called; if not adjust accordingly). That’s it! You should be good to go! For some reason, I can never remember how to do this. So if I wanted to search the current directory for the string img, but don’t want to look in the directories tmp or log. One of the most confusing things about learning rails is in dealing with the Ruby Version Manager (RVM). Being a noob myself in the Ruby world, I wanted to give some clarification on stuff that I’d wondered at the outset regarding this tool. RVM is basically a package manager (like apt for fellow linux users); it upgrades packages, downgrades them, allows you to switch out versions, etc. The big question on my mind was “why doesn’t ruby just use apt! ?” Indeed, apt had served me well for php and it seemed to be a needless complication to use some other package manager for this language. “Why was Ruby so special that it needed its own package manager! ?” I’m still not entirely sure of the rationale behind this, but my guess is that one of the things that makes Ruby so useful is its “Gems” (Rails is one of them), for which Ruby sort of acts as a package manager in itself. I figure this makes it much more important for users to have a more control over the versions of ruby that they’re using; either way RVM (and a few others like it) are the ways to manage ruby, so here are a few tips to make it work. Note: These instructions might have an Ubuntu flavor to them here and there, because that’s what I use. For the most part, they’re universal though. How can I upgrade to the latest version of ruby!? There is no way to just upgrade ruby to the latest (whatever it happens to be). RVM seems to be all about giving control to YOU; it’s not going to make the choice for you. Here’s how I go about it.